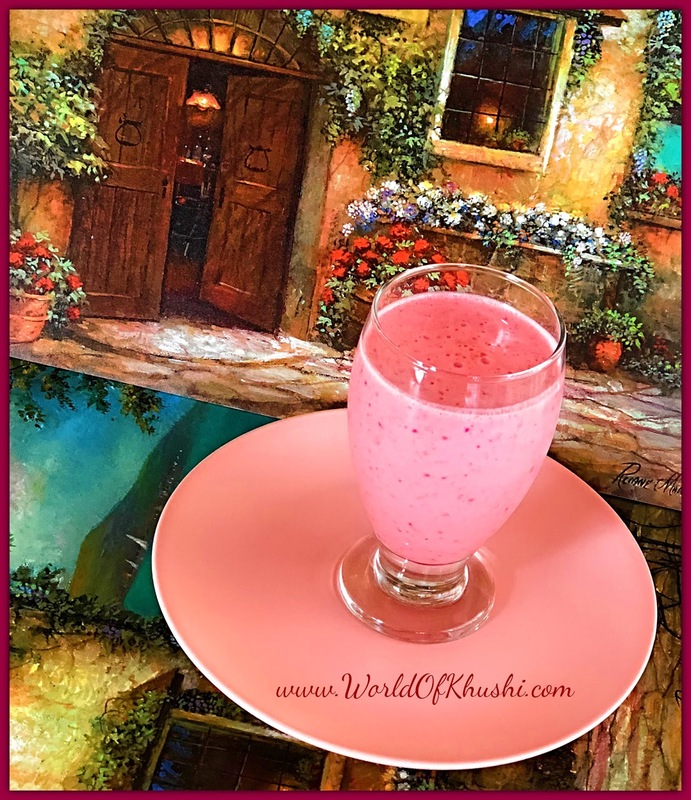 In today's post, I am sharing one of the most popular Milkshake recipes which will be loved by all the family members. This shake is very easy to make and tastes delicious. We are making Strawberry Milkshake! There are so many versions on how to make this Shake, here I am using the most simple and easy one. Let's make it!! Step 1. In a blender; add all the ingredients and blend it until you get a smoothie texture. Step 2. Pour the Smoothie in a glass. Delicious Strawberry Milkshake is ready! If you want to can even garnish it with Whipped Cream. Note:- I like Tutti Fruity Ice-cream if you want you can also add Vanilla or Strawberry Ice-cream. This Milkshake is very refreshing and delicious. I am sure that in your family everyone will love this Drink. Let me know your feedback. Also, let us know if you have any Recipe Request. For more delicious Recipes stay tuned to Khushi's World. Follow me on Khushi's World Facebook Page, Google+, Instagram, and Pinterest. I will see you in the next post till then take care! !